Are you ready to take part in the creation of a culture of inspiration, creativity, and innovation on Maui? For over ten years, TED has been a platform for sharing great ideas with the world and has hosted some of the most brilliant thinkers of our time. In that spirit, we have been hard at work cultivating a TEDxMaui program featuring both locally and globally renowned leaders that exude infectious passion and energy. We are thrilled to announce the following additions to our program. Charles Hambleton – Associate Producer of the Oscar-winning documentary, “The Cove” about the mass killing of dolphins, Hambleton fearlessly chronicles environmental crimes, using high-tech cameras, and offers solutions that benefit communities and companies. Director, writer and star of upcoming Animal Planet show, Environmental Crime Stoppers, his focus is not on finger pointing but problem-solving. Lisa Kristine—Humanitarian photographer specializing in indigenous humanities, she has traveled to over 60 different countries. She has worked with the UN, who uses her photos to inspire discussions of human rights, social change and global security. 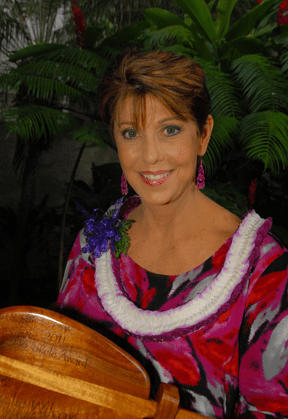 HOST: Leslie Wilcox—CEO of PBS Hawaii and host of “Long Story Short,” Leslie Wilcox has been at the helm at PBS Hawaii since 2007 after a long and varied career in broadcast and print news journalism. HOST: Kainoa Horcajo—Passionate student and teacher of Indigenous Cultures, Kainoa is often a “bridge” between people, cultures and industries of Hawaii. His experience is wide-ranging, from state government and OHA to working with the tourism and developer industries island-wide. Tickets On Sale Now Seating is limited to 600 and tickets are going fast. Contact the Maui Arts & Cultural Center Box office at 808-242-SHOW or get them online at www.mauiarts.org. Want to reach 600 of Maui’s most inspired minds, and share your company’s commitment to innovation, education, and social responsibility in the presence of a dream team of amazing speakers? Sponsoring TEDxMaui might be a perfect fit for you! Have a look at the offerings and rewards for our event sponsors.